It looks like my Generation Q faces and reviews have turned into a trilogy, and this is the last installement. I got the eyeshadow palettes when they were released early at the end of August, but I had to wait till the official release to get those two: Sophie blush and Magnetism lipstick. They were in the mail yesterday so I'm rocking them together today with the shadows from Empower palette on the eyes? 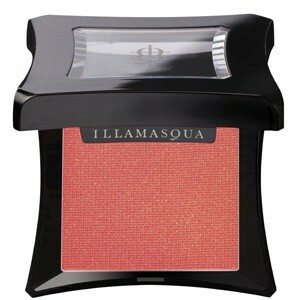 First, the blush: Illamasque describes it as a golden coral with shimmer because yes, this one is shimmery unless most of their blushers. However, just like with Ambition from last Fall, I don't find that the shimmer translates in the cheeks so much. I'm also a bit hesitant to call this a coral in fact, but I don't know how else I would name this color. It look a bit sunburnt in the pan, which is scary, but it wears beautifully. It's not the creamiest formulation I've encountered for a powder blush, but it blends well nevertheless, and I do find it looks pretty even on my pale skin. I can also say that it doesn't look like any other Illamasqua shade of blush, and probably not like anything I own either, so it's definitely a good pick for me. 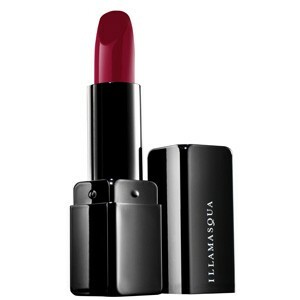 Then, the lipstick. 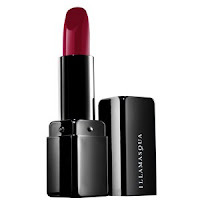 This is a very pretty deep raspberry color, but the texture is much creamier than it usually is with Illamasqua lipsticks. This being said, it's still long wearing and crazily pigmented. Definitely a great formulation going on here. I find the color is perfect for Fall but not as hard to wear as a blackened red or plum, it's a more mainstream color in my opinion.